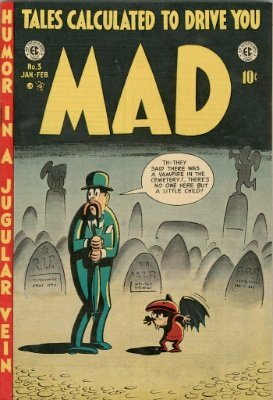 Mad Magazine Values: What Are Your Comic Books Worth? 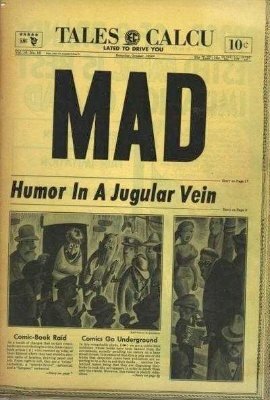 Founded by Harvey Kurtzman and William Gaines, the American comedy magazine known as Mad hit the shelves in 1952. 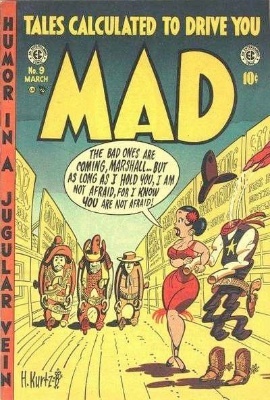 Originally a comic book, Mad developed readerships of over 2,000,000 in the 70s, known for the brilliant satirical pieces that filled each page. 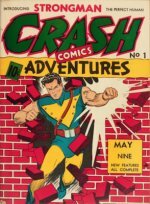 The comic ran for 23 issues before being converted to magazine format, primarily to avoid the attention of the Comics Code Authority. 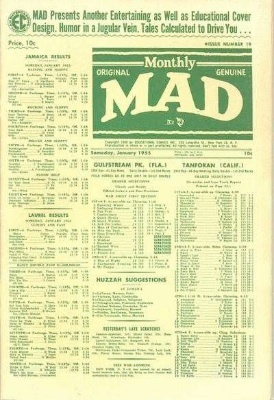 Public figures, politics, entertainment and pop culture are the usual targets for Mad’s satirical stabs. 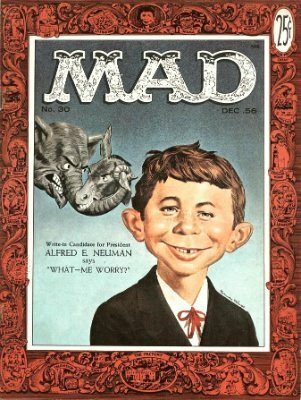 Nowadays, the mascot, Alfred E. Neuman, is generally slapped on the cover to stand in for a new movie or event that the comic focuses on that issue. In the beginning, however, the cover art was much different, as if growing and morphing to find itself. Check values here, or send us a photo and we'll appraise yours for free! 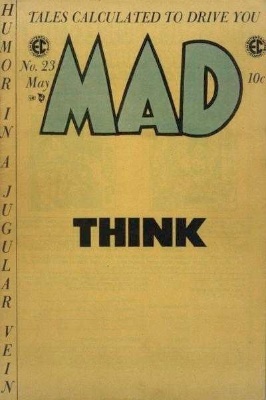 "Tales Calculated to Drive You… MAD." 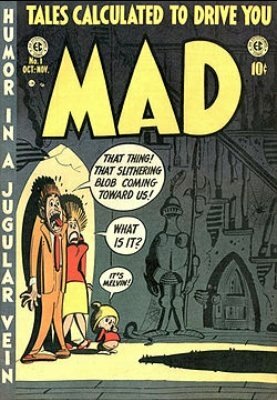 Published in October of 1952, the first Mad comic portrayed a frightened family awaiting some sort of beast named Melvin. 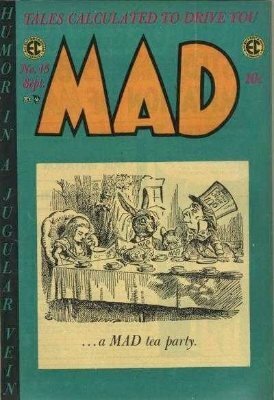 For only ten cents, children could read a series of stories meant to drive them insane. 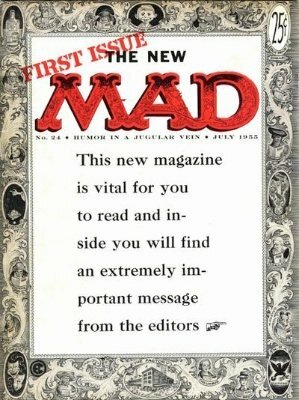 In a 2010 interview, Al Jaffee, a lifelong Mad contributor, made the statement: "Mad was designed to corrupt the minds of children. And from what I'm gathering from the minds of people all over, we succeeded." 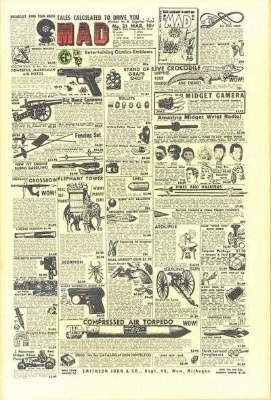 Articles in the first comic book consisted of "Hoohah!" 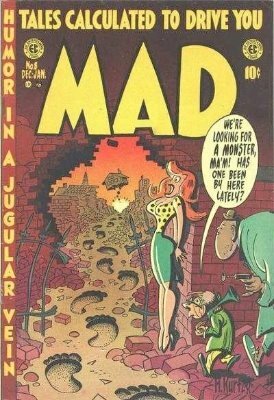 with art by Jack Davis; "Blobs" by Wally Wood' "Ganefs" by Bill Elder' and "Varmint" by John Severin. Check current market value, or send us a photo and we'll appraise yours for free! 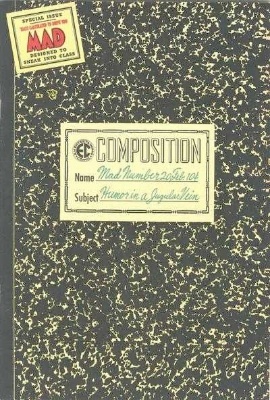 The cover of the second issue takes a swing a baseball. 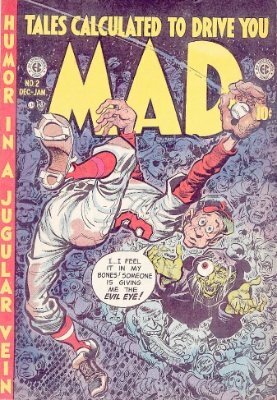 In this issue, Jack Davis does the cover and the story "Hex." 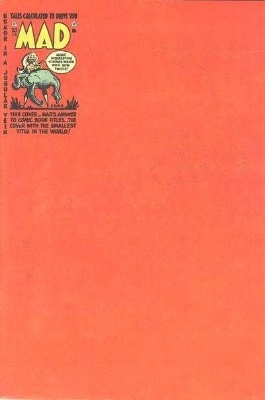 In a Tarzan-parody entitled, "Melvin", John Severin takes on the swinging man and follows up to this story in the sixth issue. 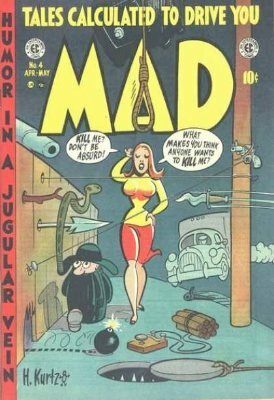 Wally Wood also writes "Gookum", and Bill Elder does the art and story for "Mole." 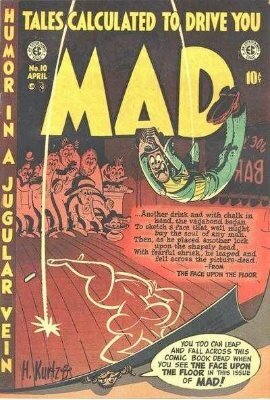 While this is not as great a find as issue #1 of Mad Magazine, #2 is a decent comic book to come across. Issue three takes on Dragnet with the story, "Dragged Net", from Bill Elder. 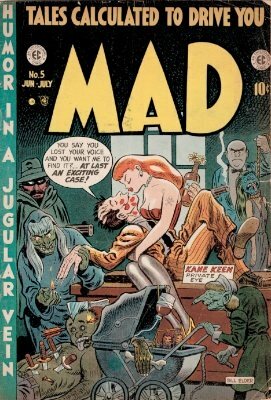 Wally Wood does "V-Vampires;" John Severin draws "Sheik of Araby" and Jack Davis writes the "Long Stranger." 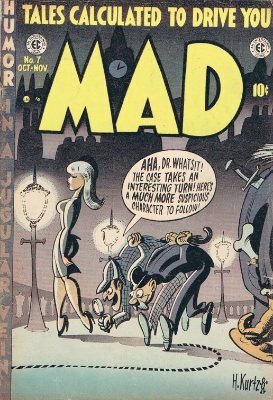 Harvey Kurtzman does the cover art. 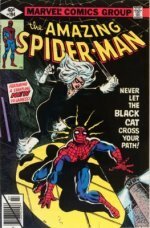 Most collectors only really "care" about issue #1. 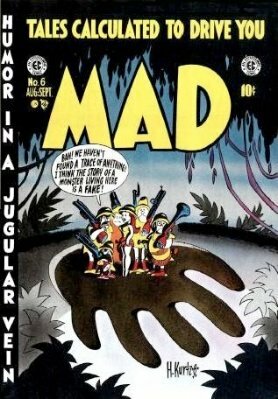 Mad #3 is not a bad comic to find, but they get progressively less exciting once you're beyond the first couple of issues. 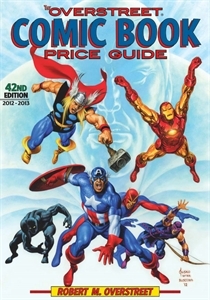 Click any image or link to check the value of each issue. 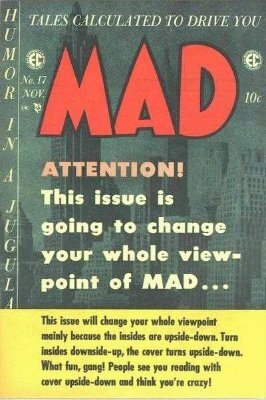 In the 24th issue of the comic, Mad decided to turn into a magazine. 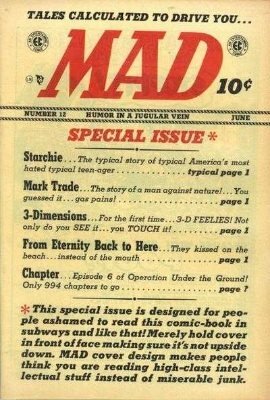 This was largely due to the attention the publisher had received from the Comics Code Authority (essentially censoring its other titles). 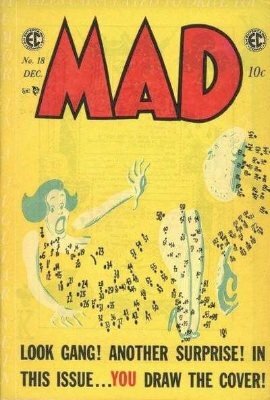 Launching a new era, publisher William Gaines and editor Harvey Kurtzman paraodied the TV show, "This is Your Life," wrestling, space travelers, and Bufferin. 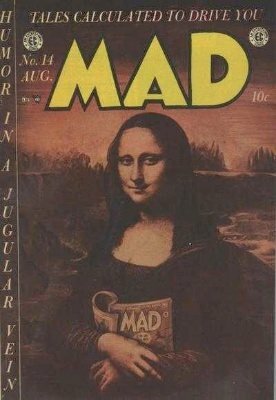 In many ways, Alfred E. Neumann IS Mad Magazine. His face is probably what you think of when you hear the name of this iconic publication. 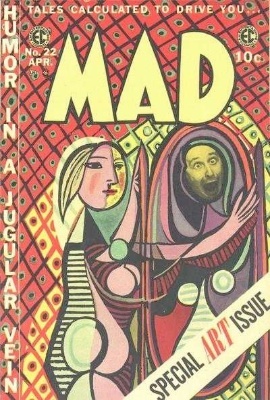 This first appearance on the cover of Mad is a key issue. A recent sale broke the record, with a CGC 9.6 selling for $1,750 at ComicLink. Get yours valued for free if you have one. 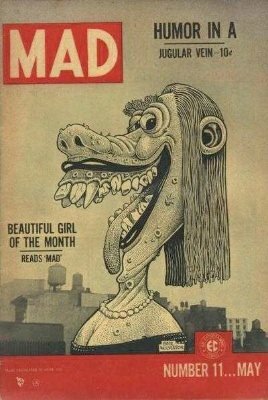 If you have any early Mad Magazines, we would love to help you sell, value, or find insurance for these national treasures. Simply send in a few pictures and we can get started to find out exactly what they're worth. Contact us here to start the process today. 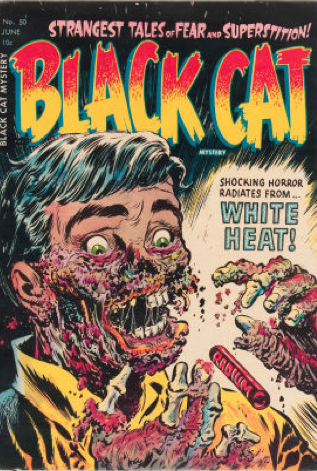 Find out the value of the world's most desirable and rare horror comic books, and have yours appraised for free! 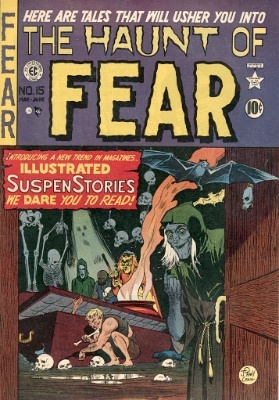 Find out more about EC Comics, including all the classic horror titles, Crime Patrol, Picture Romance, and many more. 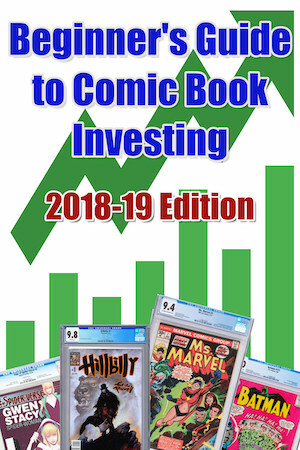 Find out how to value the comic books in your collection or inheritance, and where to sell them or insure them once you know what they're worth.